Luxury Yachts are, yes very luxurious! One thing that many yacht owners and photographers know is that yachts, regardless of their value, tend to be economical with space. After all, the bigger the yacht, the more it costs in fuel to relocate around the Cote D’Azure, the Caribbean or Orange County. Even with the best equipment and widest lenses that money can buy, photographing yachts is still really difficult! 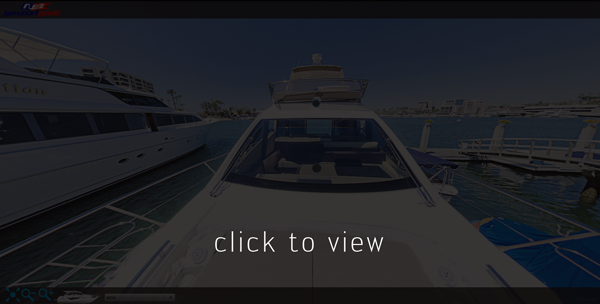 As 360 vr photography needs a very small footprint to work, it is ideal as the best medium to create luxurious imagery of luxuriously stylish yachts. In these images we used even more specialised techniques to balance the interior with outside daylight and make the images look super sharp and desirable. We used pop-up images and video to enhance the multi-media experience!